Το Aashiana Hotel είναι μια πολύ καλή επιλογή για τη διαμονή σας σε Χονγκ Κονγκ, είτε είστε τουρίστας είτε επαγγελματίας. Μόνο 0.1 km από το κέντρο της πόλης, η στρατηγική θέση του ξενοδοχείου διασφαλίζει ότι οι επισκέπτες θα έχουν γρήγορη και εύκολη πρόσβαση σε πολλά από τα τοπικά σημεία ενδιαφέροντος. Με την βολική του τοποθεσία, το ξενοδοχείο προσφέρει εύκολη πρόσβαση στους προορισμούς της πόλης που πρέπει οπωσδήποτε να δείτε. Οι εγκαταστάσεις και οι υπηρεσίες που παρέχει το Aashiana Hotel διασφαλίζουν την ευχάριστη διαμονή των πελατών. Αυτό το ξενοδοχείο προσφέρει πολυάριθμες εγκαταστάσεις για να ικανοποιήσει ακόμα και τους πιο απαιτητικούς πελάτες του. Απολαύστε ανέσεις υψηλών προδιαγραφών κατά τη διαμονή σας. Ορισμένα δωμάτια περιλαμβάνουν επίπεδη τηλεόραση, παντόφλες, σύνδεση internet (ασύρματη), κλιματισμός, τηλέφωνο - ό,τι πρέπει για να αναζωογονηθείτε μετά από μια γεμάτη μέρα. Εξάλλου, το ξενοδοχείο διοργανώνει πολλά ψυχαγωγικά δρώμενα έτσι ώστε να έχετε πολλά πράγματα να κάνετε κατά τη διαμονή σας. Το Aashiana Hotel είναι ο ένας και μοναδικός προορισμός για εσάς που ψάχνετε ποιοτικά καταλύματα στη Χονγκ Κονγκ. Located on top most floor, elevator is only one. So u have to queue a bit. 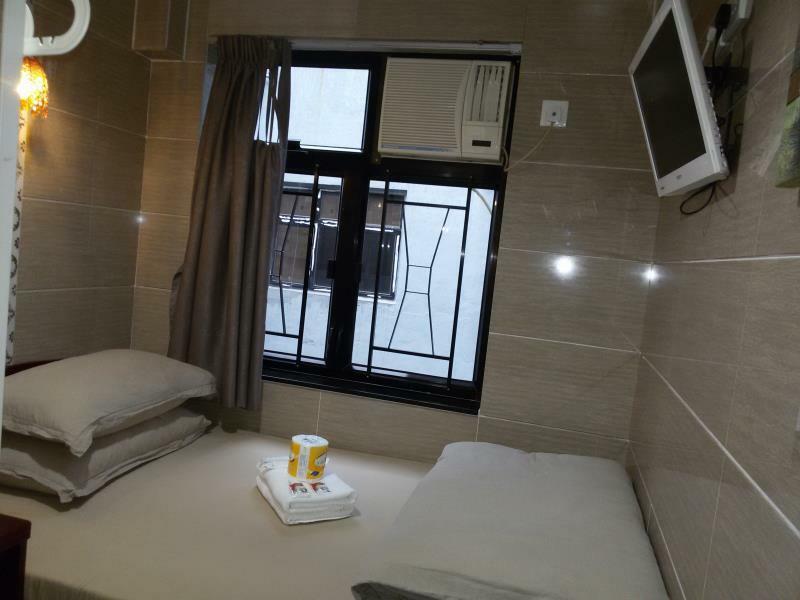 Room is very small and can fit only 2 people but I feel safe, secure and comfortable. Bathroom is attached in room. So u can have privacy and it provides hot water too. Outside of room, it has microwave, and water boiler. It is recommended for tough backpackers. Do not bring any children! This is Chungking Mansion. So have some low expectation to a budget room like this, then you'll be fine. 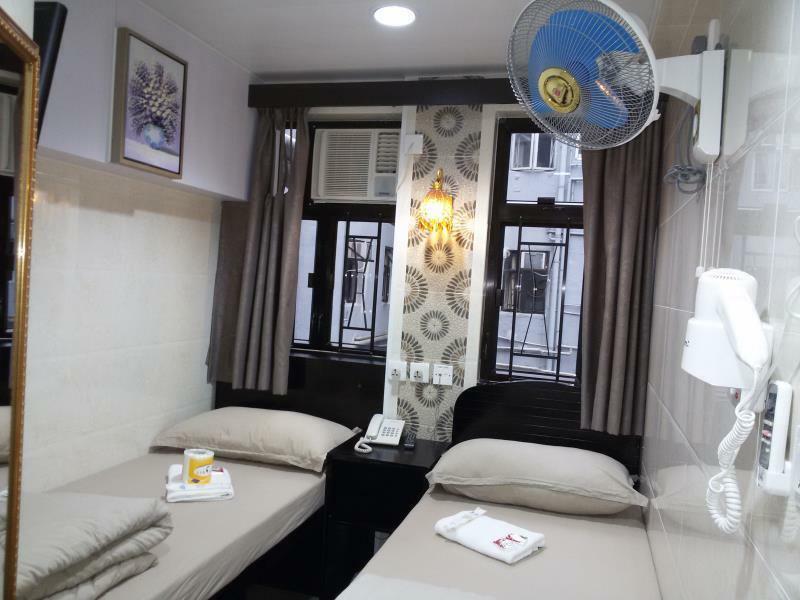 The aircond is functioning, wall fan is provided, they tidy up your room everyday, confined space (you even have to put your backpack under the bed because of the space). Not for claustrophobic! The room is simple and compact. But it is very clean and the location is amazing. If you are a traveller who just need a place to sleep, this is the place for you. George and the staffs on duty when we were there were very friendly and helpful. Value for the money you paid for. Staff were nice, friendly and very helfull.... Location is just perfect. They help us to keep our luggages as we skip 1 night to Macau. Rooms are tidy an clean....just a bit small (as mostly hotels in Hongkong). 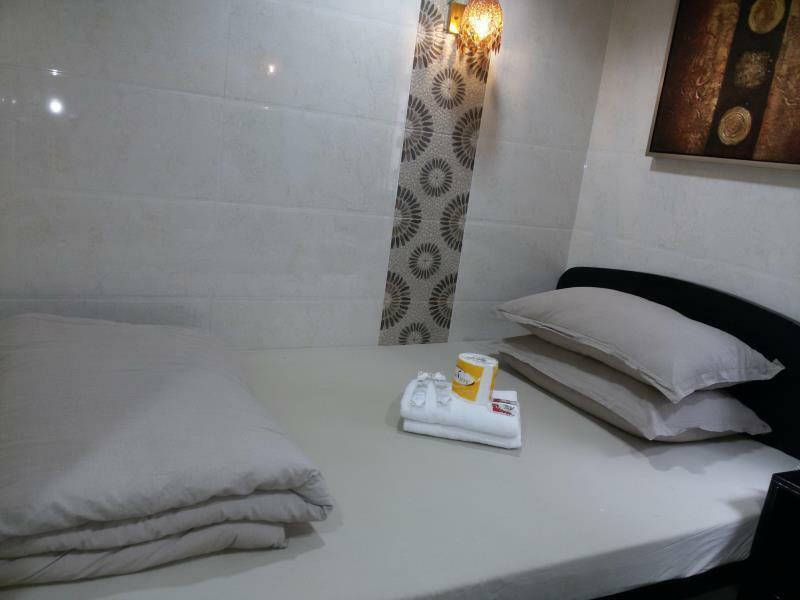 Aashiana Hotel offers the best value-for-money in this side of Hong Kong. I wasn't really expecting much given the god rates we paid but I'm amazed. The rooms are clean, the place always smells nice, and the staff are courteous. Will consider again if I'm traveling on a budget! The room is very small as in most hostel in Hongkong but the location was great, right in the middle of Tsim Sha Tsui and in walking distance to the clock tower and science museum. There are several good restaurants around. Only thing we dislike was that there's only one elevator for going up and down and we always need to queue up a long line for going up to our room. I highly recommended this hotel for all the travellers to hongkong. Staff is very cooperative. Hotel is very clean. Rates are very good as compared to other hotels. Allover value for money hotel in its segment. We stayed 4 days in this hotel and the overall experienced is superb. The hotel staff reallly made our long journey smooth and peaceful. Also, the hotel location is fantastic for shopping, convenient to Mass Transit, several types of restaurants and a spectacular view of the busy city. Don't hesitate to stay at this hotel. Owner was very accommodating. I wish to convey my appreciation for the great service, two thumbs up and I hope to experience the same service and same cleanliness the next time I visit hk st this accommodation! What stood out was the ambiance of the room. It was well lighted and very clean. Linens were new and restroom which im particular with was clean. What I don't like is that after you check out the receptionist isn't friendly anymore. Over all the experience was nice. Hotel's building was not good. You don't feel that much safe. All indian people trying to sell you something. Since that was my first time in Hongkong I Didn't feel safe at the begening . Room is too small. If you have big luggage really cant imagine what you guys can do?! Room was clean . Hot water was good. But the problem is the building smells too bad. I really didn't like it. Pros: Quite clean. Rooms come with a travel adaptor. Cons: We were put in a different hostel in the same floor. The room was very small for two people. Very near MTR and shopping area. Accessible to almost everything! Walking distance to several MTR exits. GREAT LOCATION. VALUE FOR MONEY. Value for money, location was great and convenient. 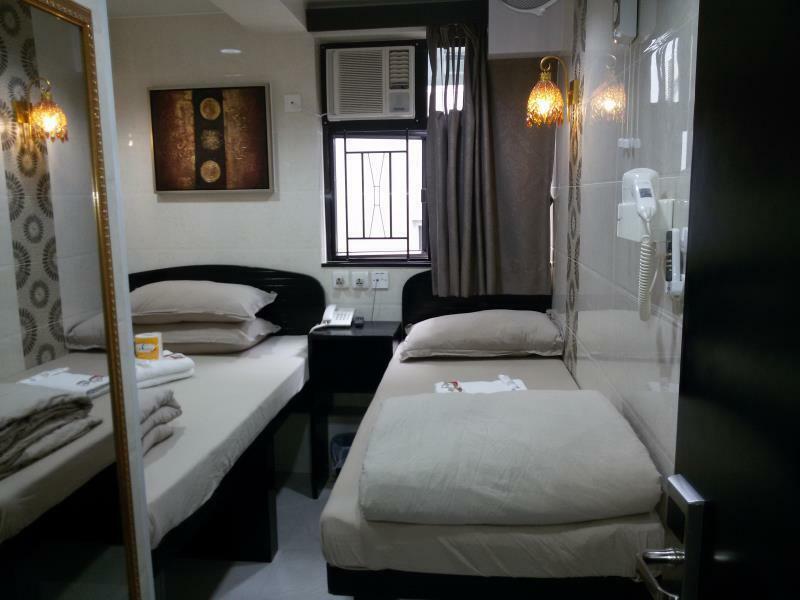 You get what you pay for, a good bed to sleep in and a nice room to leave your things when you go out to explore the city. Definitely coming back. THE PLACE WE STAYED WAS HORRIBLE AND EXPECTED SMALL, NO PLACE TO PUT LUGGAGE, MANY FOREIGNERS AND CLOUDY ENVIRONMENT. 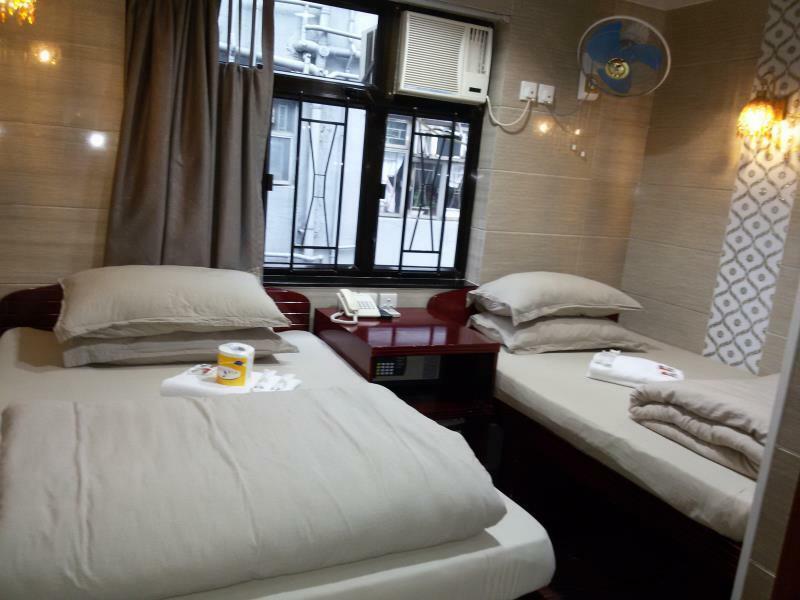 THE LOCATION IS CONVENIENT AND VERY NEAR TO MTR STATION. CONCLUSION, VALUE FOR MONEY. Respect wise =0 The old guy in the reception will make sure to knock your room to ask you to leave or pay more because money is drawn on his face. Horrible treatment. I've stayed in 4~5 star hotels even at just hostels like these but never in my life was I insulted by the owners. They will make you pay just for anything. Beware. Σταθμός MTR Tsim Sha Tsui στα 0.13 χλμ.